View-Through Attribution takes the very simple idea that people aren’t always ready to take an action when they see an advert. Until the advent of digital advertising, measuring the effectiveness of advertising was very difficult. Brands knew that advertising worked, but while they could attribute certain increases in sales, visitors or other metrics, they didn’t really know how many people were seeing ads. And then the internet came along and changed it all. Suddenly, it was possible to understand how many people had seen your ad, how many had taken an action and therefore how many people had converted into customers. But as the online model spread to new technologies and the number of ads dramatically increased, fewer people started clicking. On October 27, 1994 HotWired, the web version of Wired, ran the first true banner ad. The ad, for AT&T, read ‘Have you ever clicked your mouse right HERE? You Will’. It had a click-through rate of 44%. Today, the average click-through is 0.05%. Yet the business model of display advertising still mostly relies on pay-per-click. Internet and mobile ads now bring a lot of confusion, as click-through is no longer a meaningful measure of success. This has led many advertisers to ask questions like: does my ad work? Which ad should I attribute these downloads/purchases to? I have to know which ad yields best result so I can decide how much budget I should allocate to it. As a result, many in the advertising industry are starting to look at older methods of attribution analysis. When it comes to mobile and online, attribution analysis is considered one of the most complex issues in the ad tech industry. What is View-Through Attribution (VTA)? View-Through Attribution takes the very simple idea that people aren’t always ready to take an action when they see an advert. If we think of the advertising funnel, view-through attribution is higher up in the funnel, where a brand is raising awareness with a target audience. It is the understanding that people sometimes take longer to make decisions and that making yourself visible makes a target audience more likely to take action, further down the funnel. 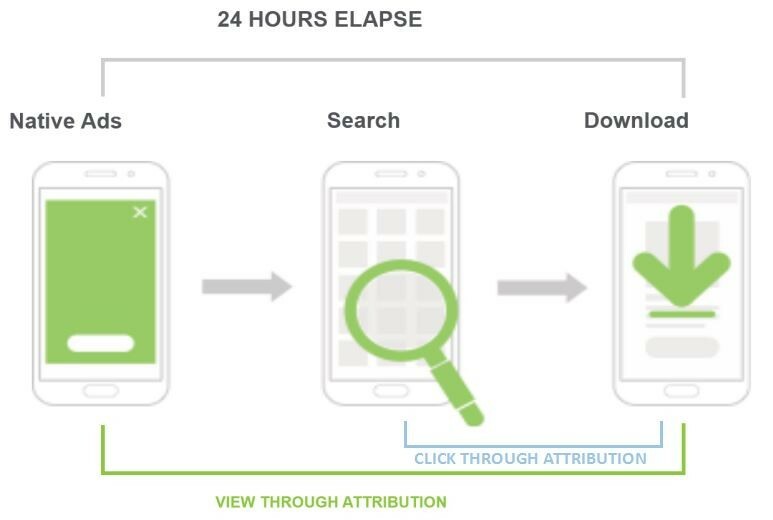 The figure below shows two types of attribution analysis: click-based attribution and view-through attribution. In this scenario, a user may see an interesting ad, but didn’t click it because they didn’t want to be taken away from reading an article. A few days later, the user needs to use the kind of app that they saw advertised and searches for it online. This prompts them to recall the app name from the advert, search in the App Store and download the app. The obvious way to attribute the download is to link it to the online search and subsequent click. But because the user was also shown the banner ad several days previously, this can also be attributed as contributing to the app install. Different forms of click-based attribution are commonly used by the Internet ad industry, VTA is a new technique emerging in recent years. Although it has been used frequently in traditional media, it is a controversial topic. In traditional media, each display ad has corresponding pages, time on page, reader stats and audience segmentation. These are also real factors. However in (mobile) Internet scenarios, we don’t know whether there is a person watching the screen displaying ads. According to Facebook’s explanation on ad attribution, it classifies attribution into 1-day, 7-day and 28-day reporting windows that can also change based on advertisers’ preferences. 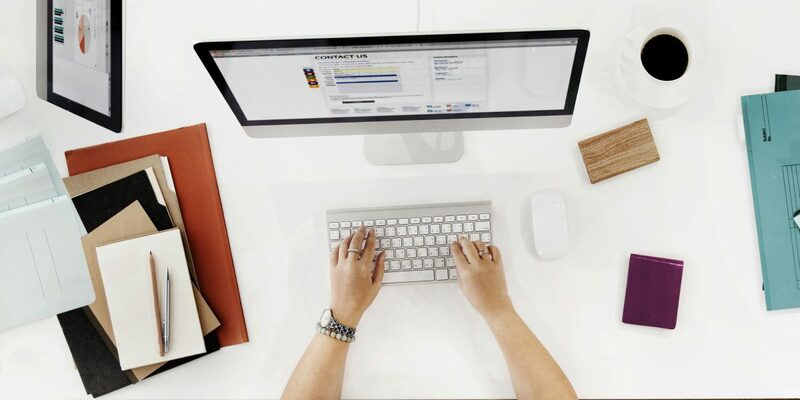 If a user clicks an ad, the conversion can only be attributed to the click. If a user didn’t click an ad but converts later, the conversion can only attribute to the browsing activity. A conversion cannot attribute to click and browsing simultaneously. Facebook considers 3-seconds of watching a video as one video view, while professionals in the ad industry generally believe a better measurement is the length of time a video is viewed, divided by the actual length of the clip. Whilst Facebook measures a view as anything over 3 seconds, YouTube measures a view as a total of 30 seconds of viewing within a 48 hour period. Although this seems a big difference, both are essentially basing their metric on the amount of video a user needs to view for it to have the necessary impact. What’s common between these two platforms is the use of view-through attribution to link viewing behavior to subsequent actions. While attribution of a download is straightforward and generally very accurate, attribution of the success of display ads is much harder. This is because it is tricky to attribute where exactly a future search or action has come from. For example, a consumer may see several different adverts for a product across different channels and formats. Without a measureable click, here is no way to say which led to the user taking action. This means advertisers may pay twice or more for one download. However, as we have already discussed, display attribution is less about a direct result and more about supporting multiple stages of the sales funnel, from awareness, to interest and eventual action. What do attribution specialists think?